If you were a fly on my wall, you would notice that although my house may not always be sparkly clean, everything- and I mean everything- has a home. From the tape measure to the highschool yearbooks to the ski pants I don once every three years, they all have their place. Someone once asked me that if money were no object, what would I do with my life? My first response is that I would travel, cook, and shop until I'm blue in the face, but then what? I would organize. Give me a kitchen, an office, a playroom that's dysfunctional and cluttered beyond belief, and I'll be a happy camper. Why? Because I love to organize stuff. There is something immediately gratifying about transforming a space and making it functional while also being visually appealing. I also love helping people. A clean kitchen table means more than clutter removal. It means there's now room for the family to come together for dinner again. A functional laundry room means less time searching for lost socks and more time to spend with your kids. An organized office gives you the clarity of mind to be creative again. Simply Home Aid is about bringing help to the home. It would be my privilege to help you with yours! I feel like Marie Kondo would be so proud of me in this moment! I actually thought about her a lot as I was organizing this closet. Even after purging 26 trash bags of clothing and miscellaneous items, the top hanging rod was still too tight. Instead of moving sections of clothing around, we had a second round of purging where an additional trash bag made its way out. Now for the FUN pictures!!! My general rule of thumb when organizing hanging clothes is to arrange them in this order: sleeveless, short sleeve, long sleeve, collared shirts, and cardigans. Sweaters are folded and stacked, if possible. Then I arrange by color (ROYGBIV), then beige, brown, white, gray, and black. My sister Olivia visits almost every summer, and we always have a blast exploring Nashville! It was so much fun to be a tourist in my own city, and I wanted to share some of the adventures from our week together! Grab your dance partner and check out Rudy’s Jazz Room! They have swing dancing on Thursday nights, along with a tasty New Orleans inspired menu. Get the beignets. Ain’t nothin’ wrong with fried dough topped with powdered sugar! Over the past few weeks, I’ve had a few revelations regarding the way I do laundry. I realize everyone’s laundry room layout and family size varies greatly, as does their routine. Here are a few tips of mine to add to your organizing tool belt! 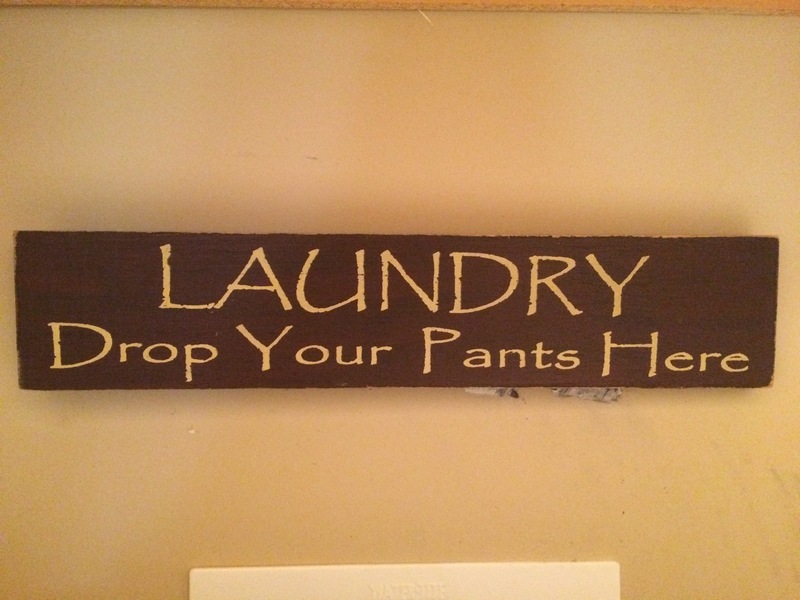 I found this “Laundry” sign at a fun little boutique many years ago. Still makes me smile every time I see it! 1.) 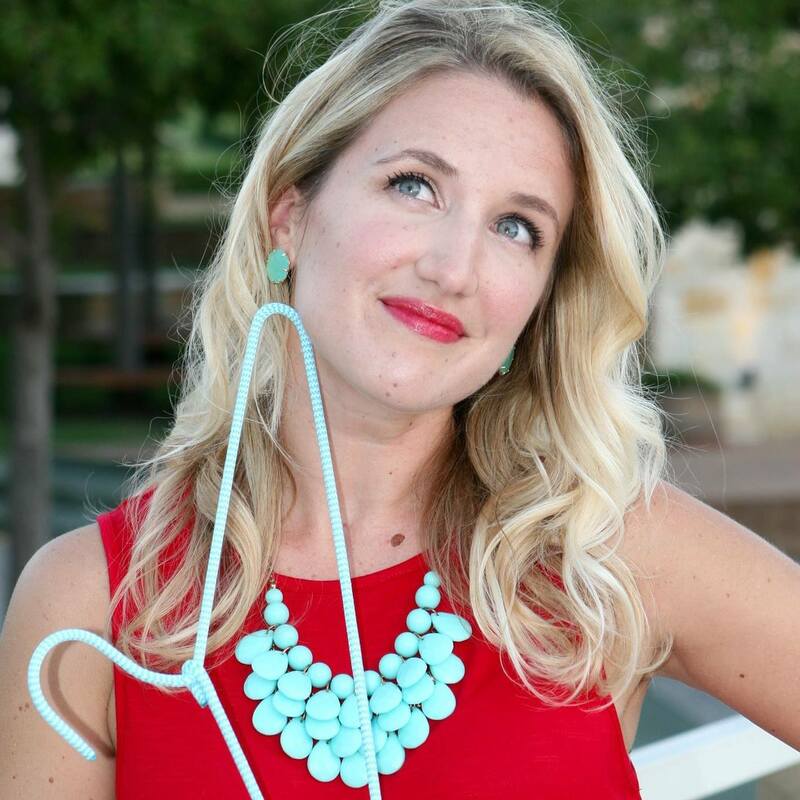 Return empty hangers from your closet to the laundry room, so they are ready for hanging clean clothes. Note: This tip only makes sense if you have a hanging rod in your laundry room. I used to fold every single item right out of the dryer. One pile for me, one pile for David. Not too complicated. I would take the folded stacks and lay them on our bed to be sorted and either put away in drawers or hung in the closet. Now, I save one step by immediately hanging the clothes as soon as I pull them out of the dryer. Why fold a shirt that will be hung in the closet anyway? Bam! Two steps turned into one. It’s certainly not rocket science, just an idea for those of you looking to streamline your laundry routine. Organizing this laundry room was so much fun! Although there is a lot of storage space, this particular laundry room also has to serve a lot of functions: incoming mail, kids’ school and extracurricular activity papers, office supplies, cleaning supplies, house utility items, gift wrapping, pet paraphernalia, oh- and laundry. Any multifunctional room can serve as an organizing challenge because you have so many different things and purposes competing for space, and it can be tricky to prioritize which items get prime real estate. It’s only been forever and a day since I blogged about anything, but the thing that’s been on my mind most recently is TRAVEL!!! I am often asked how I became an organizer. It’s not as if I was a particularly neat and orderly person from childhood. I was not in any way like Marie Kondo , who often talks about her organizing projects from the time she was five years old. I was a typical kid with, more often than not, a messy room. When I moved into an apartment in college, I began to care more about the space I lived in. I felt more ownership and pride in decorating and making the space around me look clean and welcoming. I started reading magazines like Country Living and Real Simple and dreaming about the kind of house I would have one day. David and I were married in December of 2006, and I moved from Dallas to the house he had purchased earlier that year-becoming “our house”- in Thompson’s Station, Tennessee.